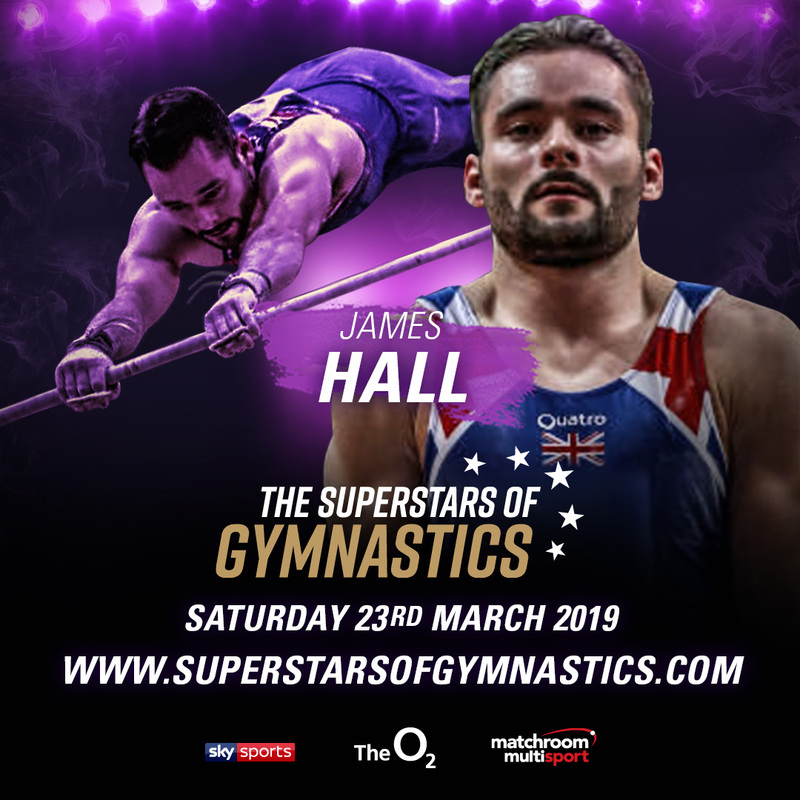 Tripe Commonwealth Games medallist James Hall has joined the world-class line-up for the Superstars of Gymnastics, which takes place over two sessions at The O2, London on Saturday, March 23rd. Hall won Team gold and individual all-around and horizontal bar silver in Gold Coast last year and joins the star-studded line-up for the event led by Simone Biles and Max Whitlock. As well as his triple Commonwealth success last year, Hall has also collected major honours at the World and European Championship. In 2015 he was part of the Team GB squad who collected Team silver and the World Championship in Glasgow, the same location where he also collected team silver at the European Championship. In 2017 he took European all-around bronze. The Superstars of Gymnastics will showcase the very best in gymnastics talent with the likes of Fabian Hambuchen, Dom Cunningham, Marcel Nguyen, and Elisabeth Seitz already confirmed to appear. They’ll be joined by British stars Danny Purvis, Sam Oldham and Jay Thompson as well as Dutch national champion Casimir Schmidt, with many more still to be announced. Tickets for the Superstars of Gymnastics are on sale now via www.superstarsofgymnastics.com priced from £30 per session for adults with under-16s at half price. Discounted all-day tickets offering admission to both sessions are available from £48 per adult with family tickets (two adults and up to two children) available from £65 per session or £100 for an all-day ticket.